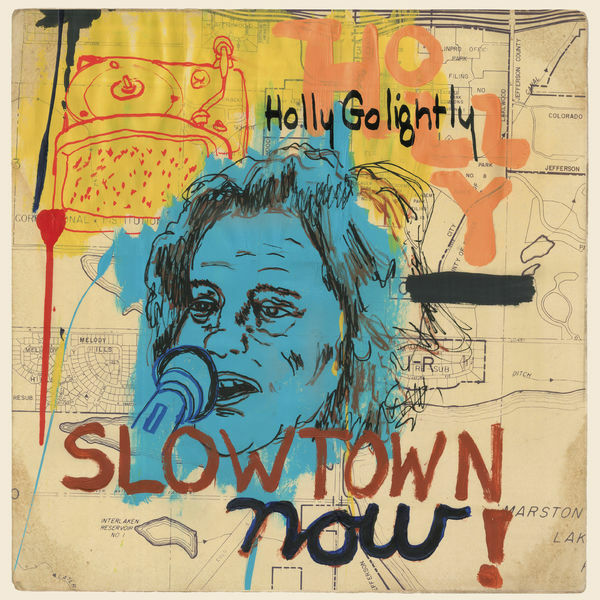 British singer/songwriter Holly Golightly has had a solo career that has spanned two decades. With over twenty albums in her catalog, Holly has certainly kept busy. She touched upon mainstream success a couple times, winning the Independent Music Award for best Americana album in 2010 with her band The Brokeoffs and also recording a song with Jack and Meg White for the White Stripes album "Elephant." Her music is best discovered and appreciated when you involve yourself in her entire catalog of music. Her latest release "Slowtown Now!," is her first full-band solo album in over a decade. The new twelve-song release begins with the slinky, playful rhythm of "Seven Wonders" as her voice continues to maintain that timeless quality. She swings with the classic rock groove of "Fool, Fool, Fool," before touching upon the sultry jazz ballad of "Frozen In Time." She brings in some of that British blues influence on the country rocker "As You Go Down" and with the sixties guitar driven "Stopped My Heart." Listening to "Catch Your Fall," it seems like Holly had a missed opportunity of performing a duet with the late-Amy Winehouse. The album finishes with the slow, country sway of "Forevermore" and the sweet harmonizing layers of "When I Wake." The new album will be released on September 11th through the English record label Damaged Goods. To find out more about Holly Golightly, please visit her Facebook page at facebook.com/hollygolightlymusic.